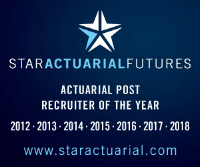 A leading global actuarial organisation has several opportunities across the UK for talented P/Q pensions actuaries. This organisation is seeing continuing demand for their services and is looking for candidates with a strong mathematical educational background, excellent problem solving skills and a passion to deliver work of the highest quality to their clients. What’s on offer for you is the chance to work across both Corporate and Trustee teams, as well as working with specialist teams across the pensions and investment advisory practice. This is a world class organisation and a world class opportunity to develop and grow your career.